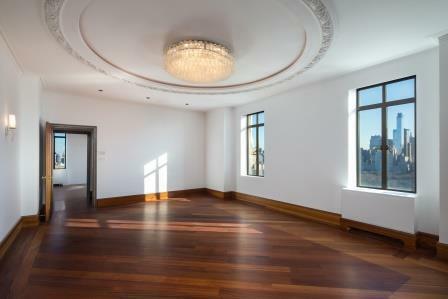 The floating mansion is comprised with rooms of grand spatial proportions and sun filled with just the right balance of heavenly light all around through its picture perfect windows framing the best views Manhattan has to offer from any angle. 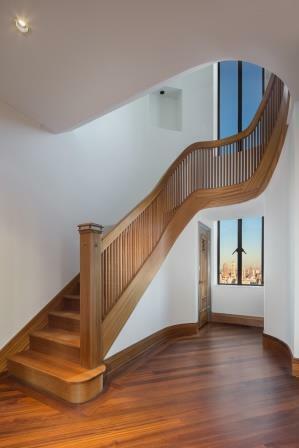 A private elevator vestibule leads to an impressive and welcoming double-height Foyer adorned with a majestic set of stairs that lead to the second floor. The first level (26TH floor) has a natural flow of circulation through the Living Room, Library, Dining Room, Breakfast Room and Kitchen. The stairs lead to the private bedroom floor consisting of 5 Bedrooms plus a Staff Room. 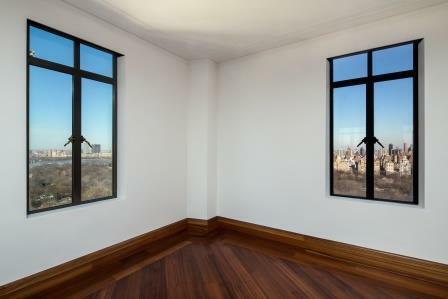 The second floor (27th floor) landing also provides access to the third level on the 28th floor consisting of a double height Entertainment Room, Kitchen and a spacious Guest Loft, full bathroom and Study. 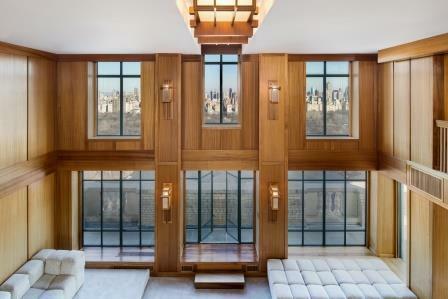 The Entertainment Room provides access to Terraces that almost fully wrap around the tower. 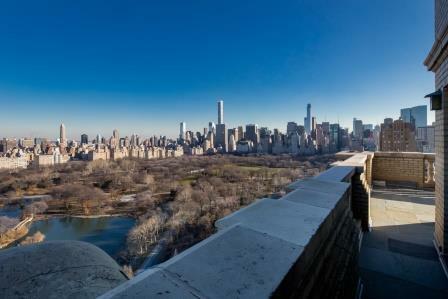 Once outside, one glance and it becomes immediately apparent that the unique location of the building in relation to Central Park and the rest of the city allows for some of the most spectacular perspectives of New York City. 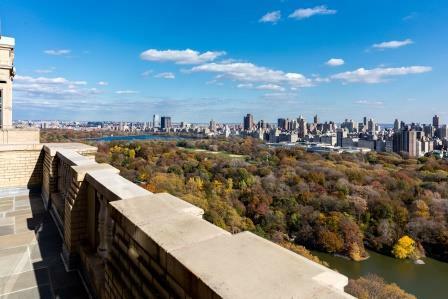 This offering includes apartment 1H, which is a 2 bedroom, 2 bathroom maisonette, with a private entry through the main lobby and direct access from Central Park West. The monthly maintenance is $3,273. 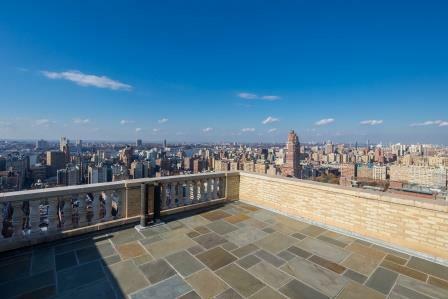 Nestled atop one of New York City’s most iconic landmark located on 145 Central Park West between 74th and 75th Streets, the San Remo South Tower Penthouse soars in the sky with its majestic sweeping 360 degree views. 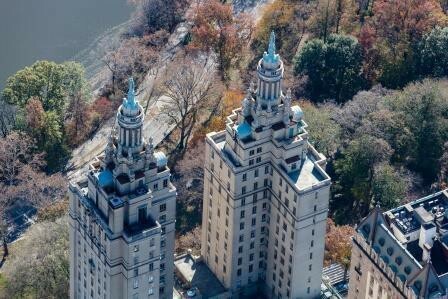 Acclaimed architect Emery Roth designed this true “mansion in the clouds” over what was The San Remo Hotel. 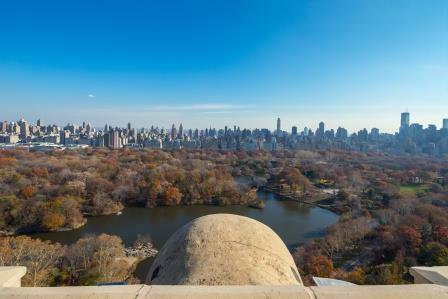 Built in 1930, it was not only one of the tallest buildings of its time, but also the first twin towered building ever erected in New York, its unique design instantly claimed the skyline of Central Park West. With its romantic and opulent elegance the landmark has inspired many imitations that failed to achieve its grandiose design. 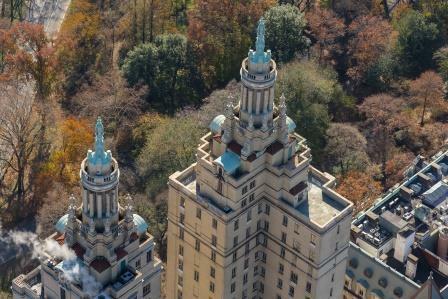 The San Remo was one of the last “classically inspired” luxury apartment buildings to be constructed at the peak of what was the end of the Great Prosperity building boom of the late 1920’s. Even through the 1929 stock market crash, no expense was spared in efforts to make the units some of the most lavish apartments available. 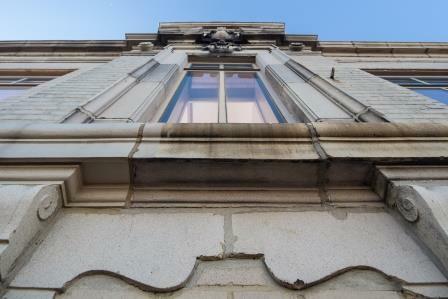 Being the last building of its kind made at the end of an era what remains now is one of the city’s most prized jewels. 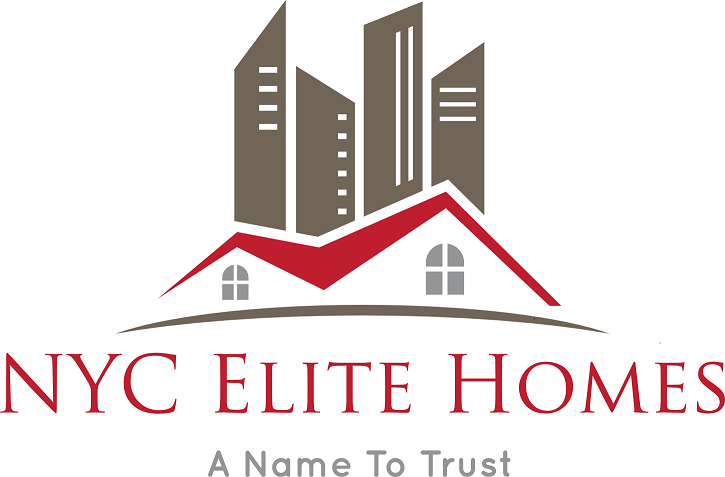 Flip tax is 3 ½ percent paid by the Buyer.